"It will be [an original character], yes. This is the five-year mission now, we're out there. We don't always have to keep bumping into the same people...It's a massive universe. So we're gonna try and reflect that in the movie. 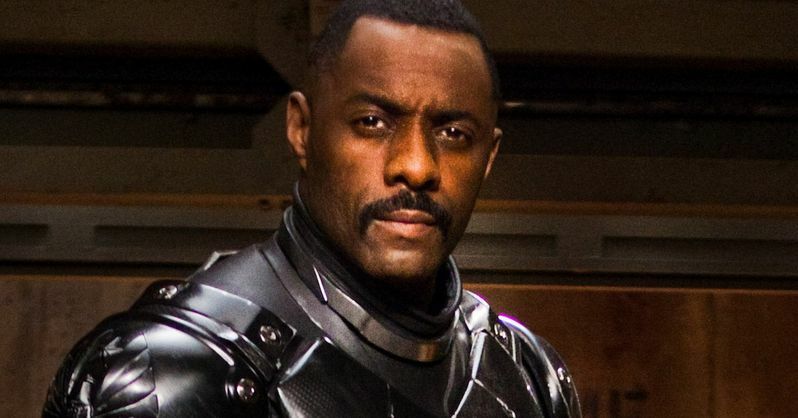 Idris Elba is an extraordinary actor, and we're trying to write him a kickass role." "Yes. That's the plan. We had a really intensive session a couple weeks ago. Every evening, when we'd done enough work, when we felt like we'd completed enough pages, we'd go and sit and watch a couple episodes of the original series to feel like we were reacquainting ourselves with it a little bit. It's an incredible show when you watch it. How little they had. We think of Star Trek as this huge thing. It started out as these little thoughtful plays. Dealing with human and intelectual ideas. It's become something else now. We're in a different world now. Star Trek has to be something else now. But we can certainly invest in it, the spirit of the show. And get back to the essence of what it is, and so what we're hoping to do is make a Star Trek for today that doesn't forget where it came from."